The Byrds – But Is It Any Good? LINEUP: Roger McGuinn, Chris Hillman, David Crosby. Michael Clarke on some tracks. Jim Gordon and Hal Blaine filled in when Clarke was out. Other musicians: Clarence White, James Burton, Red Rhodes, Paul Beaver, Gary Usher, the Firesign Theatre, and more. WHAT’S IT ALL ABOUT: The true end of the first Byrds era. A crumbling band puts together their best, most consistent record despite it all. SOME WORDS, PHRASES AND CLAUSES ABOUT THIS RECORD: David Crosby was kicked out midway through the sessions. Michael Clarke left the sessions for a while, and then came back. Gene Clark joined for two weeks and left again. 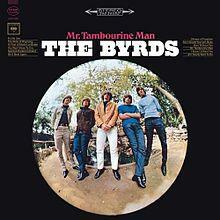 Still, Roger McGuinn and Chris Hillman persevered and created probably the best Byrds album. “Goin’ Back” is a classic of harmony and arrangement, “Wasn’t Born to Follow” the same with its flangers and phase shifters, “Draft Morning” is poignant, somber and somewhat peaceful despite the subject matter. “Dolphin’s Smile”, “Change Is Now”, “Old John Robertson”, etc. etc. there are so many winners and classic cuts here. Top 40 radio left the Byrds behind, but they were moving towards cultural significance more than pop sales. Only the concluding cut holds it back, a moog synthesized sea shanty about space exploration. A weird final cut is pretty much par for their course Still, ten out of 11 excellent cuts and a perfect time period piece. IS THERE A DELUXE VERSION: Yes, early tracks, outtakes, and a hidden track of an argument where David Crosby picks on Michael Clarke about his drumming. GRADE: A: As close to perfect as the Byrds get. OTHER SONGS YOU MAY KNOW: Only if you’re a Byrds freak. LINEUP: Jim McGuinn, David Crosby, Chris Hillman, Michael Clarke with Clarence White and Hugh Masekela sitting in on a track or two. WHAT’S IT ALL ABOUT: The Byrds mature, and release an album with several influences such as jazz and country. Hillman’s songs that solidify the album. SOME WORDS, PHRASES AND CLAUSES ABOUT THIS RECORD: This record presents the Byrds as a band moving away from folk-rock and into jazz, country and some psychedelia. Chris Hillman placed three cuts on the record, and he brought a country influence and a nice, different voice to the lineup. McGuinn’s sardonic lead single, “So You Want to Be A Rock ‘n’ Roll Star” is brilliant, and has Hugh Maskela’s trumpet adding a needed touch of freneticism to the already energetic performance. The best track though is Crosby’s “Renaissance Fair”, where the Byrds’ instrumental strengths are paired with gorgeous harmonies. Still, Crosby included a real clunker, which could have been replaced with some cuts left off for B-sides or later singles, and again it was a short album at just 11 tracks. The tension between Crosby and McGuinn was starting to burble, as both men wanted as many songs as possible on the records, and also wanted the singles. NOTES & MINUTIAE: This album included “Why”, which was a B-side of “Eight Miles High”. They re-recorded it for some reason, and it’s a bit neutered here. Many speculate it was because Crosby put up a fit since he wrote half the song. IS THERE A DELUXE VERSION: Yes, with b-sides, a soundrack cut, and singles. GRADE: A-: You can skip Crosby’s clunker and it’d be a classic record. LINEUP: Jim McGuinn, David Crosby, Chris Hillman, Michael Clarke. Gene Clark sang on Eight Miles High then split. WHAT’S IT ALL ABOUT: The Byrds lose a key songwriter, and produce an uneven album that had a lot of classic songs nonetheless. SOME WORDS, PHRASES AND CLAUSES ABOUT THIS RECORD: Starting out with “5D (Fifth Dimension”, “Wild Mountain Thyme”, “Mr. Spaceman” and “I See You”, and also including “John Riley”, not to mention “Eight Miles High”, is there any way this album could be anything less than a classic? The other five cuts range from trifly throwaways to David Crosby something-or-others, to a weird buzz kill of a song about Hiroshima, and an uninspired cover of “Hey Joe”. They really missed Gene Clark, since McGuinn wasn’t prolific, Hillman hadn’t really got his confidence to write yet, and Crosby was just, well…off. Plus, eleven cuts seemed a bit chintzy. There were plenty of cuts (B-sides, etc.) that they could have used in place of one or two tracks and it’d be just another solid album. Still, this is one to have in the collection for the songs listed above. Just be judicious about skip or exiling. IS THERE A DELUXE VERSION: Yes, as usual with the Byrds there’s plenty of material to add on. GRADE: B: Oh, this could have been an A- or so if just a couple of tracks were swapped. WHAT’S IT ALL ABOUT: Buoyed by the hit single, the Byrds release another pretty good album that has a stellar side 1 and weaker side 2. SOME WORDS, PHRASES AND CLAUSES ABOUT THIS RECORD: I don’t know how a side from 1965 could be better than Side 1 of this album. That includes the Beatles, Dylan, Beach Boys, Stones, you name it. The five tracks are well chosen, well played, well sung, and just feel right together. Gene Clark’s original song is tremendous, the Dylan tune spot on, the title track timeless. McGuinn’s original fantastic, and his re-interpretation of “He Was a Friend of Mine” for JFK poignant. The second side is weaker – a lot weaker. There’s another fantastic Clark original, and a decent Dylan cover. The other cover doesn’t quite work, the other originals are a step behind, and the ending of “Oh! Susannah” seemingly thrown on there. Still, this is a great one for the collection, especially for folk-rock junkies like me. NOTES & MINUTIAE: The Byrds, never one for group harmony (even though they harmonized like angels on record), didn’t want so many Gene Clark originals on the album because of royalty imbalance. This made the product weaker. IS THERE A DELUXE VERSION: Yes, you get some of the tracks left off, thankfully. GRADE: B+ It could have been an A or A+ with some more of the Clark material. LINEUP: Jim McGuinn, Gene Clark, David Crosby, Chris Hillman, Michael Clarke. The Wrecking Crew played on the title cut and the B-side. WHAT’S IT ALL ABOUT: Folk-rock comes alive, and 12-string Rickenbacker’s sell like hotcakes! SOME WORDS, PHRASES AND CLAUSES ABOUT THIS RECORD: Some records are touchstones for their time and era. This is one of them, and it’s not hype. From the first notes of “Mr. Tambourine Man” to the reading of “We’ll Meet Again”, the Byrds ignited Dylan’s rock and roll sparks and provided an impetus for folk singers to get find electric instruments. The covers (mostly Dylan, but their reading of Pete Seeger’s “The Bells of Rhymney” warrants a mention) are fantastic and not just ‘straight’ copies of the originals. Dylan wasn’t a very harmonious singer (understatement) so hearing great 3-and-4 part harmonies on his songs is fantastic. The revelations are the originals by Gene Clark. Even if he had written just one song, “I’ll Feel a Whole Lot Better” gets him into the pantheon of songwriters. His other contributions on this album were mostly solid as well. There are a couple of cuts that aren’t as top notch as the rest, and I really don’t dig the ending, so I can’t give it an A+. (You can hear Hillman flub a bass part, I think, on “Spanish Harlem Incident” – maybe it was intentional? Anyway, that’s kind of charming in its own right.) Even today, it’s a sparkling album of folk-rock. I can’t imagine listening to it in 1965 after hearing just the title cut on the radio. NOTES & MINUTIAE: George Harrison heard “The Bells of Rhymney”, and wrote “If I Needed Someone” based on McGuinn’s 12-string riff. IS THERE A DELUXE VERSION: Yes, some good B-sides and alternate cuts..
GRADE: A-: It’s definitely worth having in any collection just for the harmonies and arrangements alone.